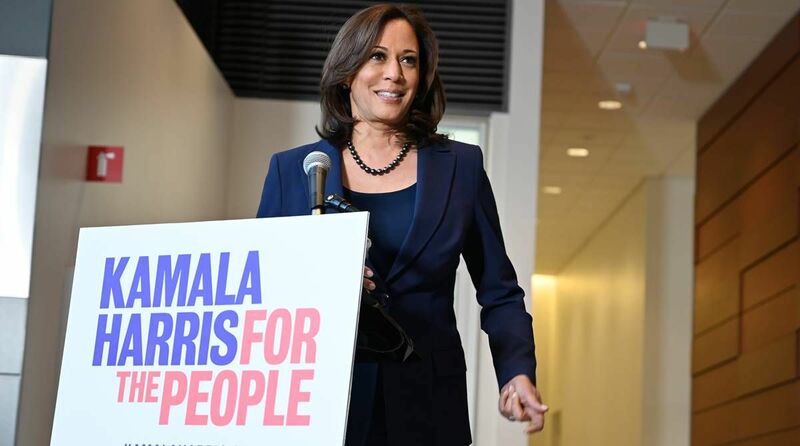 Harris, who was California’s attorney general from 2011 to 2017, made her announcement to supporters outside city hall in Oakland, San Francisco’s grittier neighbour where she was born. Lamenting that the American dream and its democracy are under attack in Donald Trump’s United States, California Senator Kamala Harris formally declared Sunday her candidacy to become the country’s first black female president in 2020. Barack Obama introduced himself to Californian voters in 2007 in the same location before he was elected the first African American president of the United States a year later. Harris already announced in a January 21 video that she would run for president. She joins a Democratic field with several other candidates seeking to keep Trump out of the White House for a second term. “We are here because the American dream and our American democracy are under attack and on the line like never before,” she said. “When democratic values are under attack around the globe when authoritarianism is on the march when nuclear proliferation is on the rise when we have foreign powers infecting the White House like malware, let’s speak the truth,” she added to raucous applause. Without naming the president, Harris directly targeted the divisive policies of his unconventional administration. Trump regularly tries to equate illegal immigrants with crime and gangs, and his standoff with Democrats in Congress over funding for a wall on the Mexican border led to a record nearly five-week shutdown of parts of the government. “The president’s medieval vanity project is not going to stop them,” Harris said of transnational gangs. She also attacked Trump’s failed policy that put migrant children “in cages” after separating them from their parents. “Don’t you dare call that border security. That’s a human rights abuse!” she said.